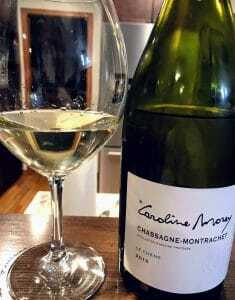 A few quick thoughts on the 2015 Caroline Morey Chassagne-Montrachet from the Le Chêne vineyard. In the Morey Edition of my Keeping up with the Joneses in Burgundy series, I gave some background on Domaine Caroline Morey which was founded in 2014 by Caroline and her husband, Pierre-Yves Colin. 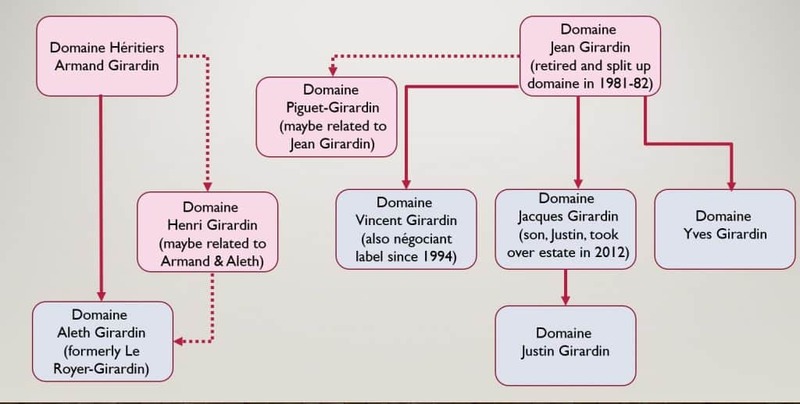 Caroline inherited most of her 17 acres (≈ 7 ha) from her father, Jean-Marc Morey–including choice parcels in Chassagne-Montrachet. Le Chêne (or Les Chênes “the oaks”) is a village-level cru located just below the Premier Cru vineyards of La Maltroie and Ez Crets (which is usually labelled as neighboring La Maltroie). Medium-plus intensity nose. Lots of tree fruits–ripe apples and a little spiced pear. It has an intriguing but not quite defined slight citrus note around the edges. On the palate, the mouthfeel has a lot of weight and concentration. It won’t fool anyone for a California Chardonnay (no diacetyl butter) but there is noticeable creaminess in the mouthfeel. The apples and spiced pear carry through. Medium-plus acidity highlights the citrus streak and provides much needed balance for the richness and medium-plus weight of the fruit. Moderate finish. 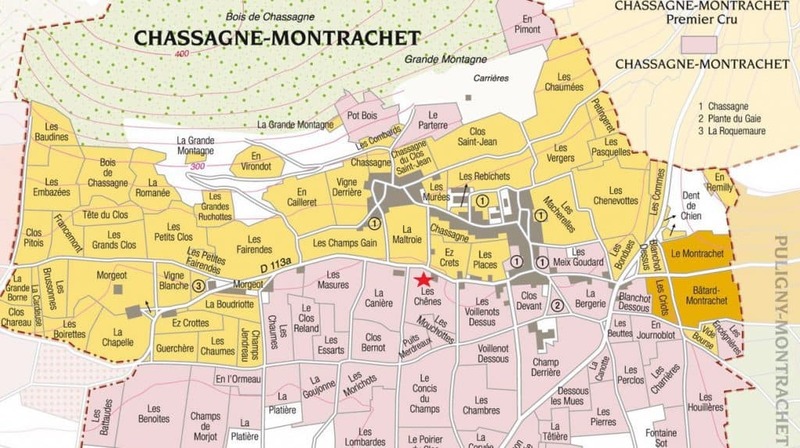 Location of Les Chênes within Chassagne-Montrachet. At around $60-65, Caroline Morey’s example from Le Chêne definitely eclipses its peers in price. The wine is certainly superior to most village-level Chassagne I’ve had. Impressive weight. I don’t know if I’m keen to buy at this price point though. It’s missing some of the minerality and long finish I crave. However, that could be its youth at play. Tagged Caroline Morey, Champs Jendreau, Chardonnay, Chassagne-Montrachet, Clos Saint-Jean, Domaine Alain Chavy, Domaine Caroline Morey, Domaine Roux Pere et Fils, En Remilly, Ez Crets, Jean-Marc Morey, Keeping up with the Joneses in Burgundy, La Maltroie, Le Chêne, Les Chaumees, Les Chênes, Morey family, Morgeot, Philippe Colin, Pierre-Yves Colin, Pinot noir.